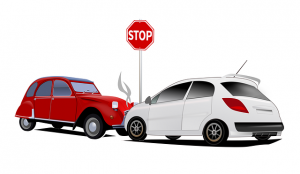 Getting into a car accident – no matter how small – can be a stressful and frightening situation. It’s easy to be left feeling scattered after an accident, so it’s a good idea to learn about post-accident procedures now when you’re levelheaded. Read on for ARC Insurance’s tips for how to handle the aftermath of getting into a car accident. Move yourself and your vehicle to a safe location (if possible). If you or anyone else is injured, call 911 immediately. Contact the police and explain your situation. Keep in mind that the presence of an officer is not always necessary – so use your best judgement. If your car isn’t drivable, contact a tow company or roadside assistance, if you have it. Names, phone numbers, addresses and emails of all drivers, passengers and witnesses. If emergency services are present, try to collect the police report number as well as the names and badge numbers of any officers. Keep in mind that you should never reveal your auto policy limits or admit fault to another driver. It’s never a bad idea to take a couple of photos of the accident scene, as well as any damage to vehicles involved. This will help you later on during your claims process. It’s critical to call your insurance company as soon as possible after an accident. Many people are hesitant to alert their insurance company of an accident if they are planning not to go through insurance, but know that you can always get advice and then decide if you want to file a claim or not. Your insurance company has dealt with many accidents, so they will be able to help you determine the best plan of action. If you are looking for an auto insurance quote, or have questions about how car accidents can affect insurance rates, give the experts at ARC Insurance a call!